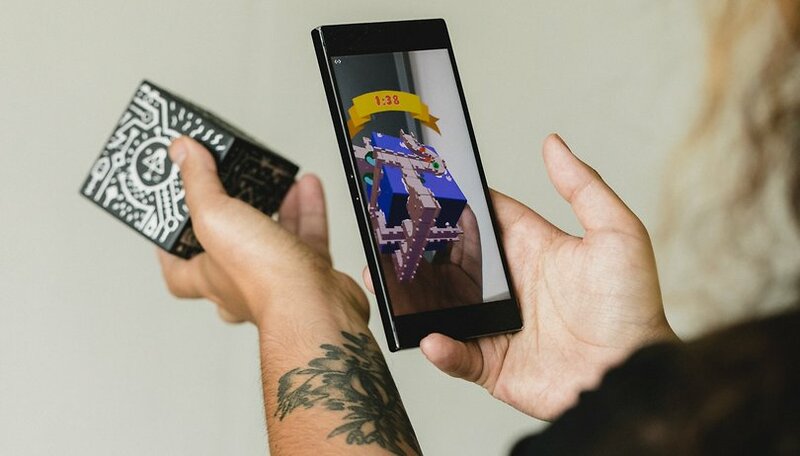 Augmented reality is becoming trendy in mobile games, but what we're often seeing on most new games that tout AR is little more than a tacked-on photo mode. After a little bit of messing around, these kinds of AR modes quickly lose their appeal. What we need are more games that take better advantage of the technology. There's a lot of potential in augmented reality in mobile games. But ever since Pokémon Go's heyday, there hasn't been a new killer app for AR gaming that has taken the world by storm in quite the same way. Recently, two high-end mobile games emerged touting AR features that may become common side-modes in games. Both of these are good-looking (and actually good) games, but AR isn't really important to the gameplay. Where you place your monsters or where you locate an AR battlefield doesn't actually make a difference to what happens in the story or a match. This type of AR in games can be fun, I won't deny it. For example, Knightfall AR also places a besieged castle and attacking armies on top of your office table, and has an AR photo mode to add game characters to the real world for fun pictures. While this is cool for gimmicky photos and experimentation, I couldn't see myself getting hooked on AR like this. If the real world is just simply a surface for digital graphics, is AR really being used in play? Seeing your game play out on the kitchen table, office floor or hotel lobby may be fun, but in all honesty, I've found it to be more of a gimmick that quickly loses its luster. The main trouble is that real world and spaces aren't really part of the game - and best, just an unnecessary surface to have the action play out on, or a new backdrop to show your collected characters or monsters. Like AR emoji and Animoji, this use of AR is fun for a few tries and nice for social media, but ultimately with games, it doesn't add much. In fact, it puts extra steps in the way, like having to find a flat surface. Is watching a fantasy battle on the living room carpet more immersive or engaging that a rendered backdrop? I don't think so. For AR in games to be more meaningful, the 'R' really has to matter in the game itself. We can look to Pokémon Go, for example. To play the game, you actually have to go somewhere. Your position in the real world actually matters to game outcomes. Walking around the real world is actually part of the fun, and part of the challenge. Aside from simple overlays of real world objects, scannable gaming peripherals such as the Merge Cube or other objects that can represent weapons, tools or puzzle pieces in-game are another way to bring the real world, including your sense of touch, to make real actions meaningful combined with virtual game visuals. The other critical aspect of AR in Pokémon Go? Other people in the world are playing with you. We're not alone in the world. While single player games and tech like VR may encourage full-on immersion, AR is much better for games with multiplayer and social aspects. Pokémon Go understands this, especially with the new friendship system that allows trading and gives meaning to relationships with other trainers in-game. The fact that we share the real world with other human beings, who can be (mostly) fun to hang out and play with, shouldn't be ignored by future AR games. And hopefully, it won't be, if indications are anything to go by. Even though I'm no Apple fan, I couldn't help but be excited by the AR game demos at the Cupertino company's latest keynote, which featured multiplayer AR Galaga. Even though its footage from an Apple demo, Google's ARCore is never far away from ARKit in turns of capability, so we can expect good multiplayer AR on both platforms. At the end of the day, AR modes in games may be welcome, but they do leave one hungering for more. An AR experience of the future that leverages real world location, objects and other people with in-game interaction and consequences, will be the holy grail of next-gen mobile games, a worthy successor to the phenomenon that was Pokémon Go. Are you looking forward to any upcoming AR games? What would you like to see from the next generation? The difference between Pokemon Go and the other games you mentioned is that Pokemon was designed by Iwata Satoru who legitimately enjoys playing games and making fun experiences for people. Those others were designed by people who enjoy monetizing repetitive and/or compulsive activities and pretending that makes them game designers. AR in games is of low value beyond treasure hunt gimmickry. Games area better for VR, but there'sa long way to go to deal with the motion sickness issues in a high speed game.